Base soap of a mixture of olive oil, coffee grounds. Nothing else! Good in the kitchen too when you are working with smells from onions or garlic! 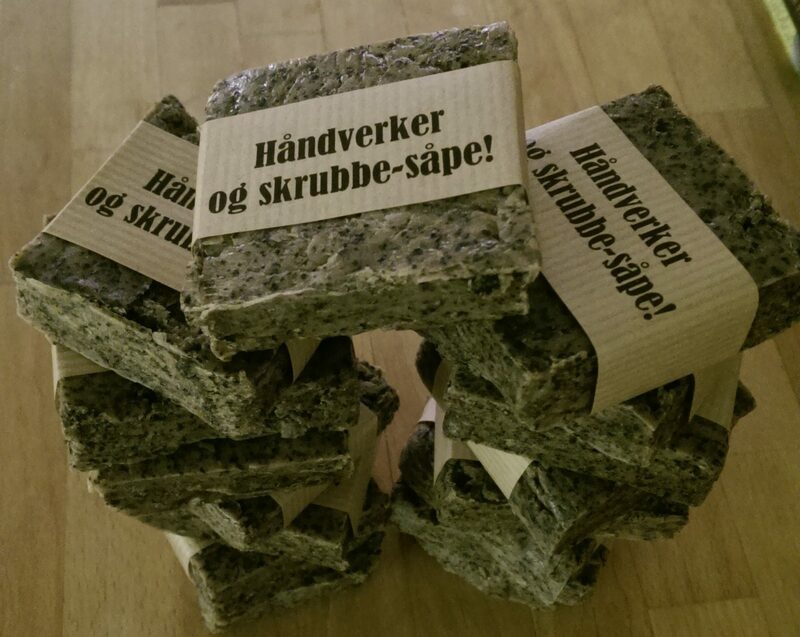 Biodegradable as all my other soaps, earth organisms love it! If you want to use a soap for massage in the shower, use the smoother Lady-version (Caffe Latte soap) instead which is superfated with castor oil and rich in coconut milk and other precious oils and has less coffegrounds and more coffee-scent! !